The past few interviews/conversations I’ve done on the Thrill of the Wild have been focused on some of the stalwarts of the hunter community, folks who’ve been doing this for quite a while. So this week I wanted to get into some of the third generation, as Arth dubbed it. Pypo has just put out, as of my writing this, his 400th youtube video… wait for it… this year. What started out as some fairly basic How To type videos has grown into a style that is very much his own, which I’ve decided to call The BG Ramble. 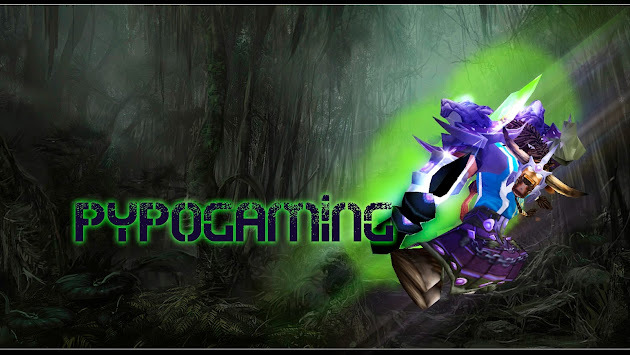 He’s covered topics as far reaching as transgender politics, stories of wrecking dirt bikes and even dating advice for young gamers, all while wrecking his way through random BGs and demonstrating great hunter game-play. Delirium: Pypo, in the past year you’ve taken youtube huntering by storm. How’d you get into youtubing? Pypo: I started the way I think most youtubers do and thats by watching other youtubers. One day I had just watched a guide and soon after went to complete one of my weekly mount runs and thought what the hell I may as well record this, it all kinda evolved from there. Delirium: What I feel you’re most known for is making PvP videos where you’re talking about something that’s completely unrelated to WoW. Before you started making videos, did you already know you had this ability to just talk about anything? Or have some of these gifts kind of come as a surprise, things you learned you could do while doing it? Pypo: Amongst my WoW mates at the time I had a reputation for non stop rambling especially when it came to a few topics but that was extremely different compared to when i'm recording. Its somthing that I kinda did well but gradually got better at the more videos I made. Delirium: Over the past year, you've covered some fairly divisive topics; I’m thinking of the Westboro Baptist video, or any of the topics on Queer issues, and even the topic of women in games. It seems WoW players are just about as diverse as the cultures they come from, having representation from the very conservative players all the way to the incredibly progressive players. Have you gotten any backlash from bringing up any of these topics? Pypo: Yeah you’re always going to get backlash no matter what you talk about but some of the topics definitely have brought it out more. Even so the good and supportive comments always seem to shine through and im lucky to have a very open minded and supportive audience. Delirium: On to Hunter specific topics. If I recall correctly, your main is currently a Tauren Hunter but used to be an Ally race. Has Pypo always been your main? Was hunter your first class? Pypo: My Tauren hunter has actually only been my main for MoP. In BC I mained a Troll mage, WoTLK I mained a resto Druid. It wasn’t until late Cata that I made Pypo the human hunter, hitting 85 right about the same time MoP dropped. Delirium: Other than the fact that we’re all so ridiculously good-looking, overwhelmingly intelligent, and yet compellingly humble, what do you just love about being a hunter? Pypo: The movement, I never want to be standing still and I also prefer being at range if possible. 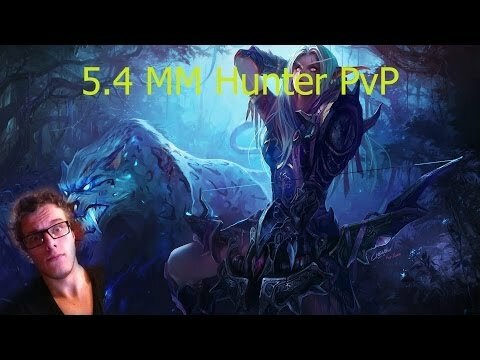 Hunter was the perfect fit for me and thats not to mention the awsomesauce pets we can have. Delirium: We’re starting to see more and more info coming out about Warlords of Draenor; Tauren 2% crit increase and exotic munitions will have a large impact on your pvping, I imagine. Any hunter changes you’re particularly excited about? Pypo: With or without you is something I’m looking forward to messing around with as well as the differences in spec increasing from slim to some. Its nice to be able to switch spec on a main and feel a different play style, something us hunters don’t have much of atm. Delirium: That’s an interesting point. You’ve been playing mostly MM this season, right? I’ve been back and forth between MM and SV for RBGs, but almost exclusively MM for Arena. With the Rapid Fire buff, MM’s burst will be insane. I run in a fairly casual PHDk team, but I’ve been having dreams of an Asphyxiate/Rapid Fire combo to finish off just about anyone. Though, SV’s Camo Perk is looking amazing also, 18% heal over six second, while untargetable and still able to free cast, yes please. Any prediction on what your spec will be next xpac, or any you’re excited about switching between? Pypo: Absolutely no idea what ill be playing, there are so many things i'm looking forward to testing and fiddling with. The idea of a stealth cow is a very attractive thing to me and something I will most definitely be messing around with. Delirium: Any hunter changes you’re not too excited about or abilities you don’t want to lose? Pypo: Scatter shot is the obvious one. Its a crucial ability atm for pvp and without it there would be no traps from Pypo . I just hope that making traps instant proc will work and not be too affected my latency. Delirium: What is your world latency like in AU? Does playing on that side of the pool require a bit more planning ahead? Pypo: I go between 150ms on a good day and 300ms on a bad one. Still hardly noticeable for instant casts and things like that but when it comes to bindings shots and traps you often have to lead your target to make sure its active before your target gets there. With all things you get better at it with practice. Delirium: Finally, one of my favorite parts of talking to PvP minded hunters, is every seems to have a grand story of this one time when they were outnumbered or out-geared and managed to pull off some spectacular victory; what’s your most impressive victory? Pypo: Its was a dark night, the winds were blowing as rain fell over my large tauren hunter casting a chill down his spine. He stood on the darkshore docks killing every alliance NPC and Player in sight but the peaceful slaughter wouldn’t last long. After lodging an arrow in a poor Draeneis knee I noticed a boat pull up behind me filled with maxed level alliance all from the same guild, apparently my fun had drawn attention. I immediately began to strafe back down the docks placing all manner of traps and flares anticipating the coming battle and lucky I did. The rogue was first to hit the flare soon to be blasted from the docks by my explosive trap but he was the only one, leaving the other four players to charge me without hindrance. I thought to feign death and mount but i wasn’t quick enough, a feral druid had already reached and stunned me leaving his casters plenty of time to start charging their fireballs. Thinking fast I popped my trinket and Deter, lucky for me I happened to have mirrored blades on at the time. All manner of spells reflected from me back on the caster, some went running in fear while others took beams of light down on themselves like a smite from the heavens. I used the confusion to my advantage Disengaging from the druid webbing him in place, my mind was still to flee until I noticed - They didn’t have a healer - Popping all Cds I unleashed my fury down on the feral druid, he was dead by the time he made it to my feet. Next was the Boomkin who seemed to realize chucking rejuvs everywhere was a good idea. My cds were up for another 10 seconds, just enough to kill the druid with a well timed Silencing shot. A warlock was standing there next to his mage buddy still casting all manner of spells, I thought I might have a chance until the rogue was back. I sat in a stun so long my health reached 5%. Quickly deterencing and disengaging once out of the stun lock was just enough to keep me alive but I didn’t run, instead standing there just out of range while Burnt Cake my bird bit at the rogue. Thats when I got the confirmation on skype, he was here. I ran forward charging they must of thought me a mad man, taking on three of them with only 5% health. Their minds changed when the paladin fell from the sky bubbled and cast lay on hands on me. The two of us finished them off with ease and proceed to camp for some time. It was a good day. Quite a prolific video catalog he's developing! Nice interview. Also, did I miss the Zeherah interview? Or am I just imagining that you mentioned that to me?